Tantrum Theater, Dublin’s professional theater, is a community of artists working together to bring new worlds to life in Central Ohio. In its second season, Tantrum will create the magical world of Shakespeare’s A Midsummer Night’s Dream, the turbulent Louisiana of the 1960’s in the musical, Caroline, Or Change, and the mythical Irish countryside of Into the West. 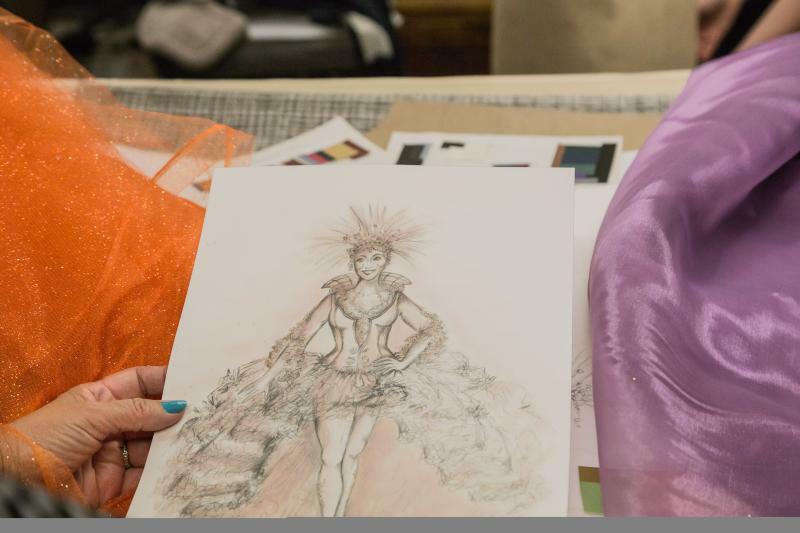 So what goes on behind the curtain to bring these worlds to life onstage? 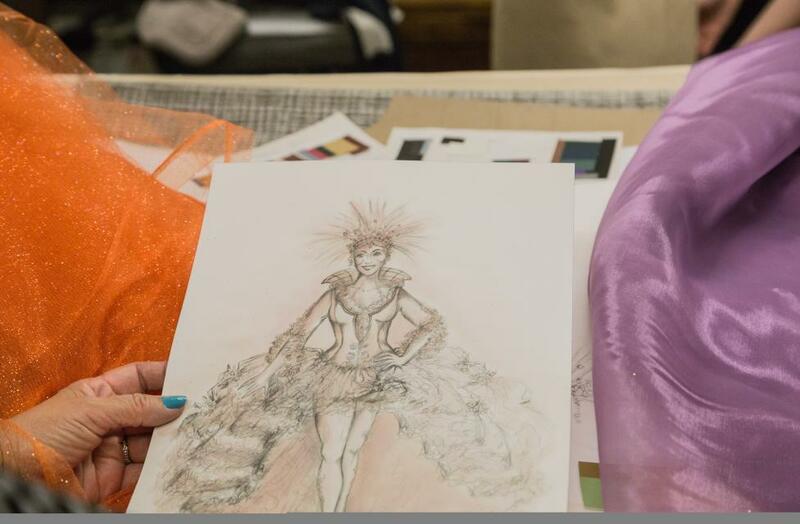 The process begins months in advance, with each production’s team of designers budgeting, researching, and conceptualizing the best way to convey the message of the show. This season, Tantrum has a company of over 130 people, only a fraction of whom will ever be seen onstage. A Midsummer Night’s Dream is set in a forest enchanted by mischievous fairies, and throughout the story, characters experience the magic of discovering who they’re supposed to be in the world. Scenic Designer C. David Russell says, “I needed to create a space where magic could happen, and where the stakes are high and truths are learned through adventure and ordeal.” “Liminal” refers to a position occupied on both sides of a boundary, and Midsummer’s set must exist somewhere on the boundary of the human and fairy world. As the play moves away from stifling city life into the forest, the set becomes increasingly more colorful, alive, and representative of the transformation of the characters. 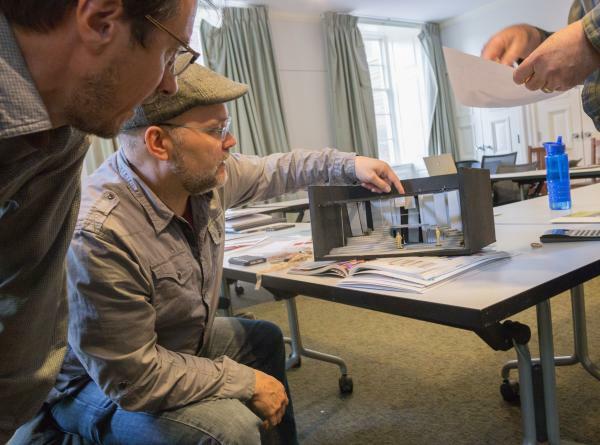 To convert this design into a physical space onstage, Russell works with a production manager and technical director, along with a team of carpenters, metal workers and painters, to construct the set. 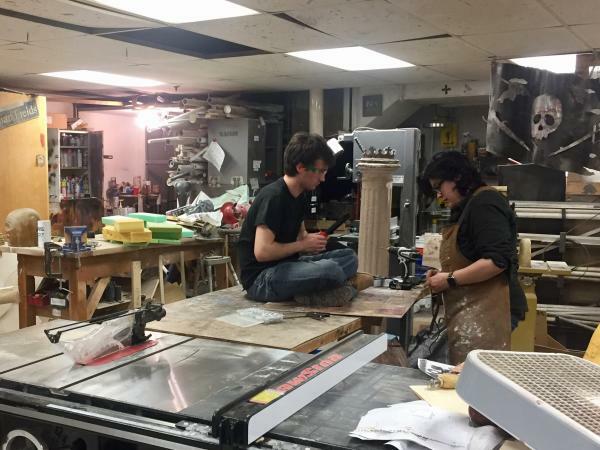 Another team works on the production’s props, objects used onstage by the actors. 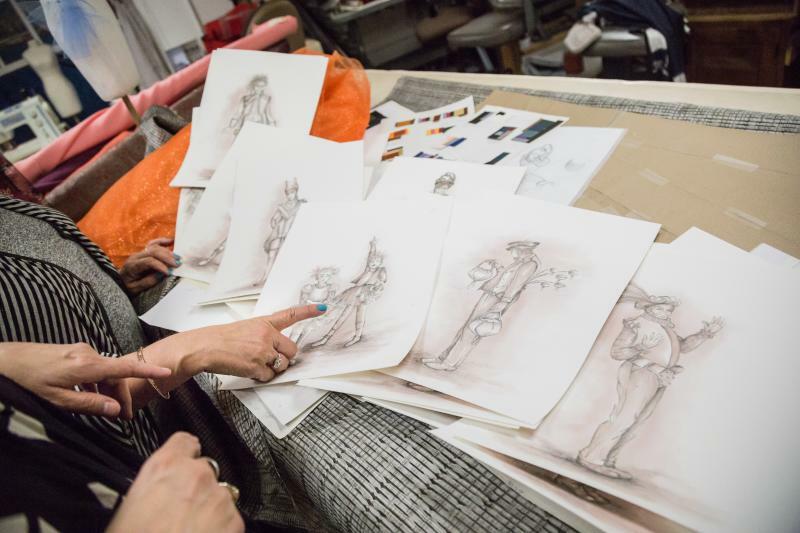 As the stage is transformed, Costume Designer Helene Siebrits and her shop are busy crafting the fantastical outfits to be worn by humans and fairy creatures alike. While the humans of the city will be dressed in extravagant high fashion, the fairies of the forest (played by children from the Central Ohio area) will wear costumes inspired by punk rock fashions of the 1990’s. Tantrum’s production office keeps everything running smoothly behind the scenes, overseeing each department’s budget, working with agents to secure artists, and making sure each aspect of the production comes together to create the best experience possible for everyone involved. The actors seen onstage in Tantrum’s performances bring professional experience from across the country to Ohio. The cast of Midsummer has spent weeks in rehearsal under the direction of Daniel C. Dennis, beginning by reading the play together around a table and discussing the intent behind each line. 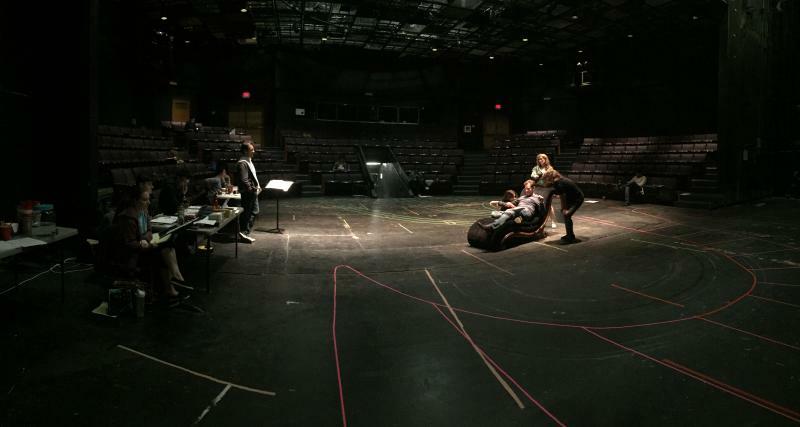 The cast then moves to a mock-up version of the set to work on movement and blocking, before moving into the Abbey Theater to begin rehearsing with theatrical elements like lights, costumes, and sound. From there, it’s just perfecting everything until the curtain goes up for an audience the first time! 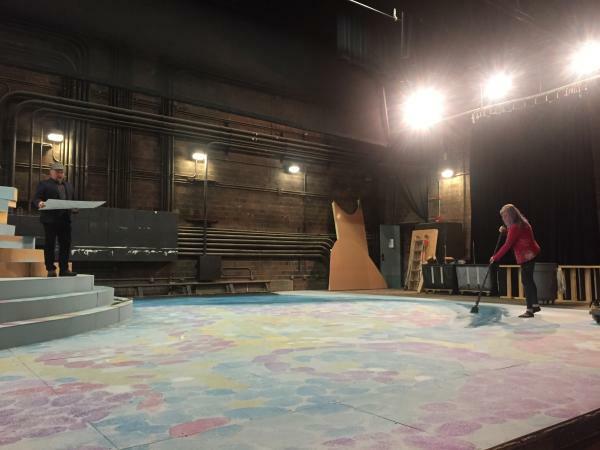 As you can see, a lot of hard work goes into creating the magic of live performance, and Tantrum looks forward to bringing another season of professional theater to Dublin and Central Ohio. Check below for more information on Tantrum’s 2017 season. To purchase tickets, visit tantrumtheater.org or call 614.793.5700. All performances are held in the Abbey Theater, 5600 Post Road, Dublin.